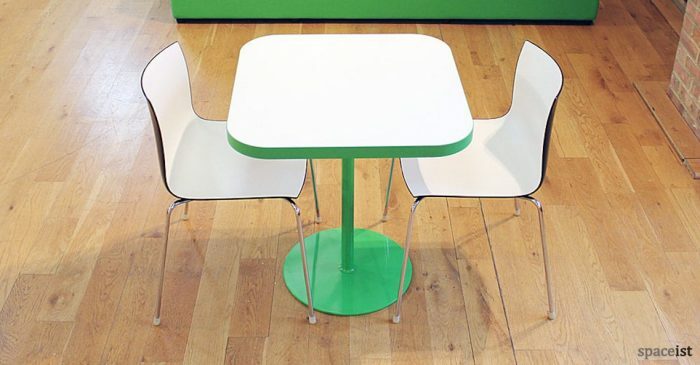 Square cafe table with a coloured edge including green, red, orange, white & black. 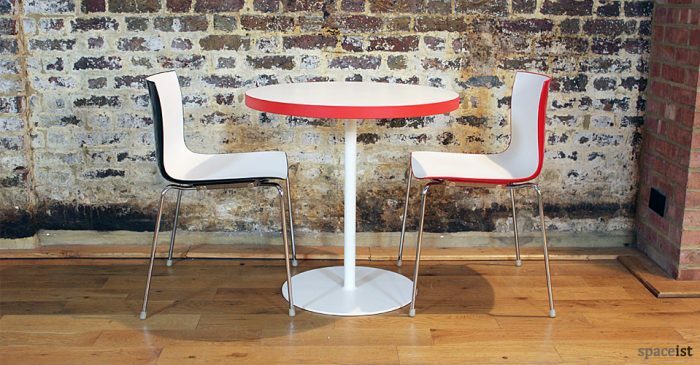 Round cafe table with a coloured edge in green, red, orange, white & black. 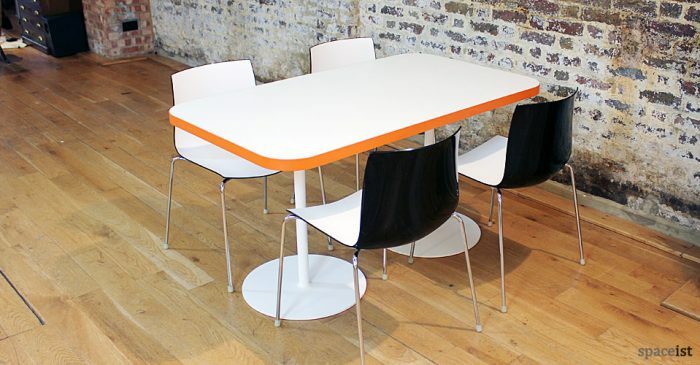 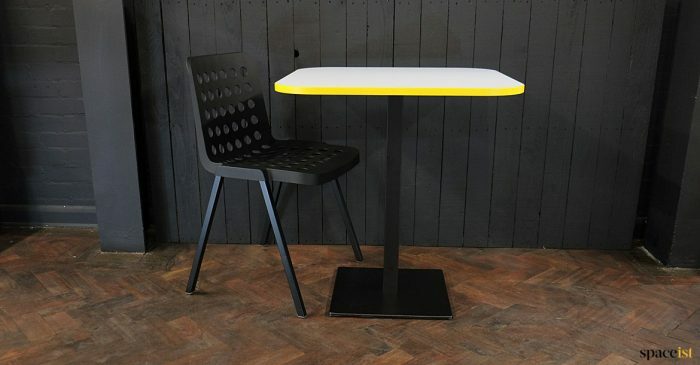 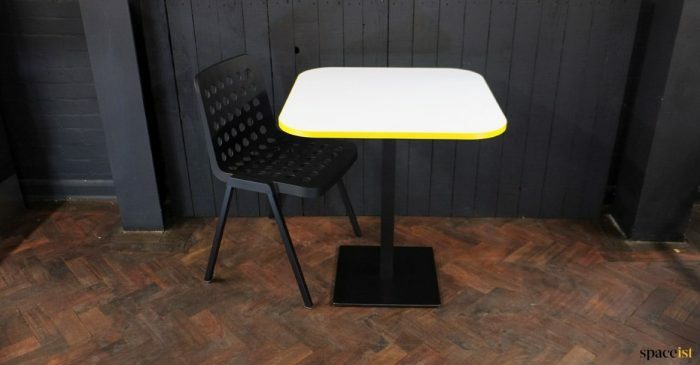 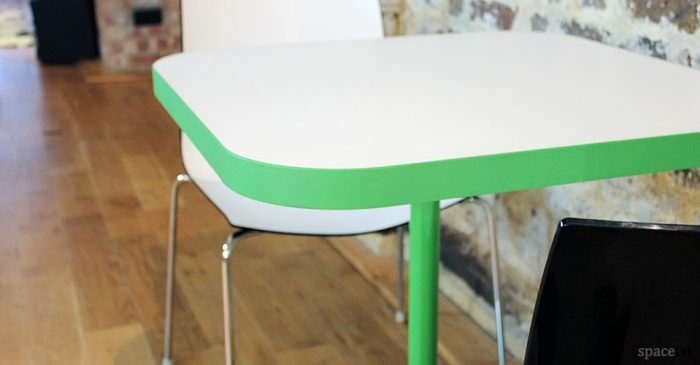 Rectangle canteen table with a coloured edge in green, red, orange, white & black. 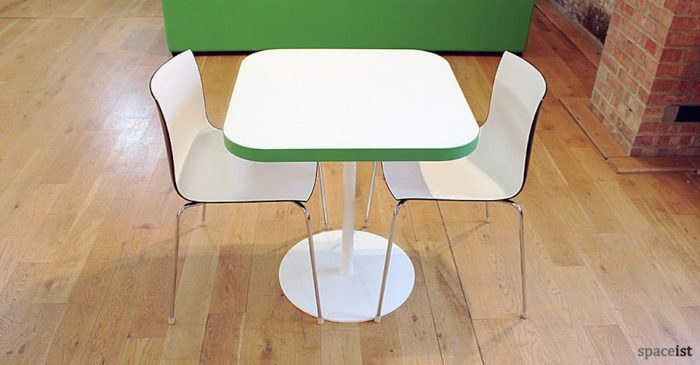 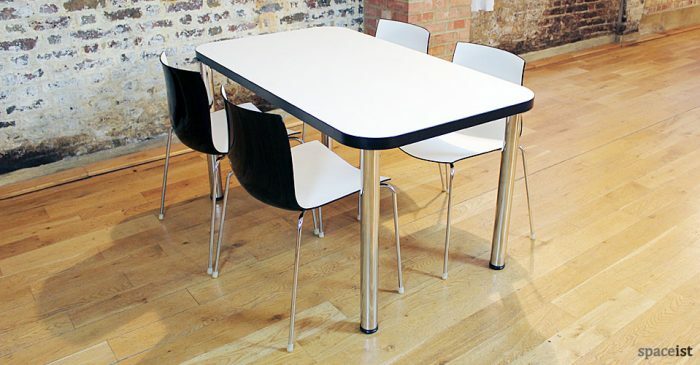 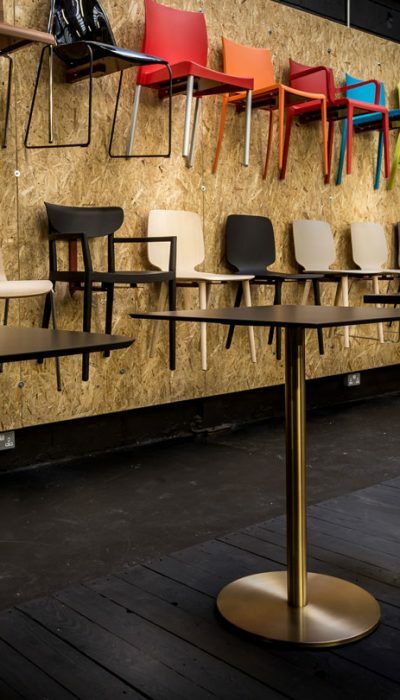 Rectangular canteen table with a colour edge in green, red, orange, white or black. 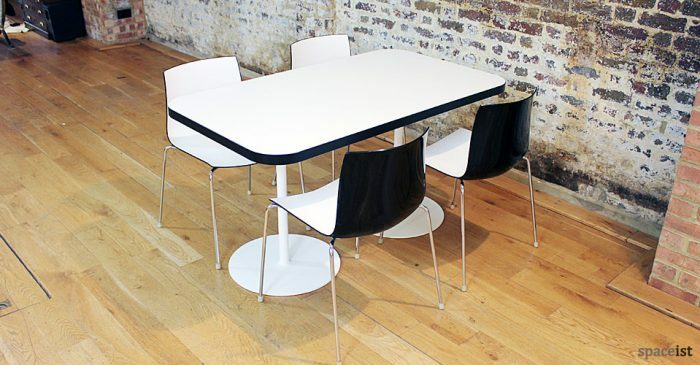 Base in chrome, white or black. 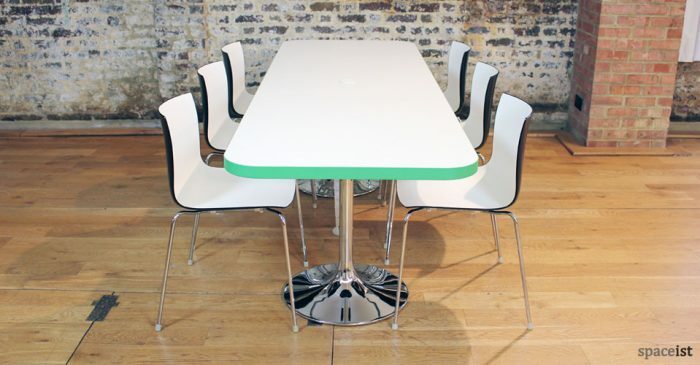 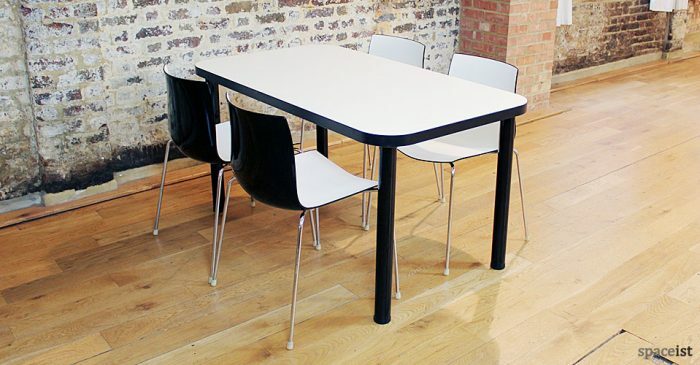 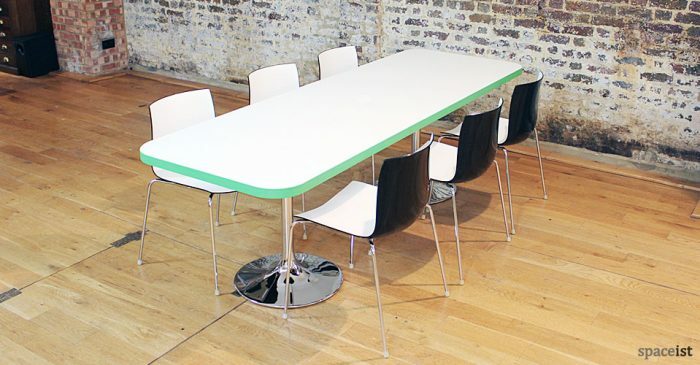 Long canteen table with a coloured edge in green, red, orange, white & black. 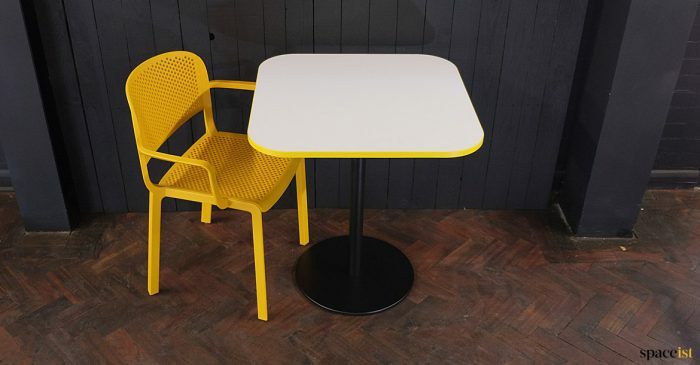 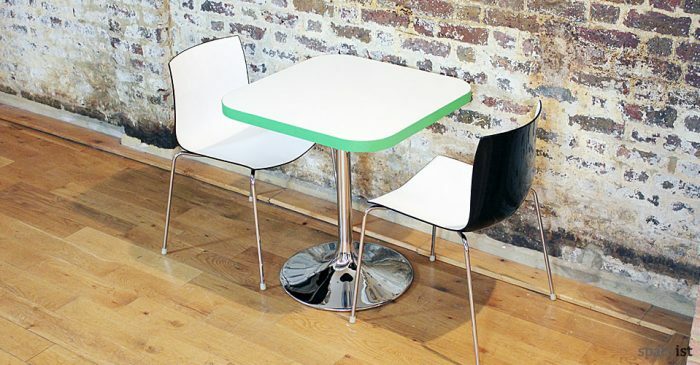 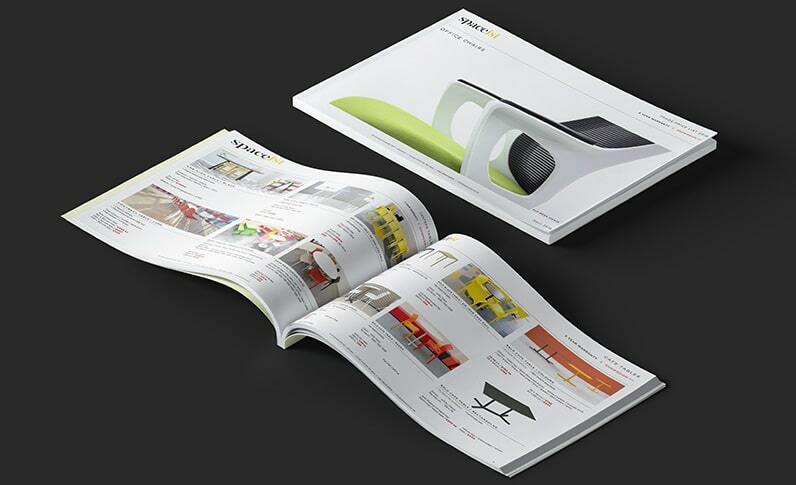 Square cafe table with a bright coloured edge in green, red, orange, white or black.